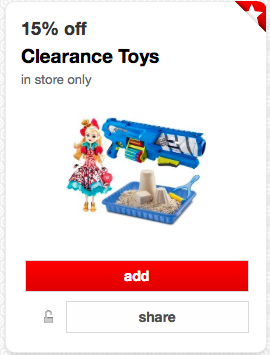 There is a new Cartwheel offer to save an extra 15% off all clearance toys at Target. Remember that January is a BIG time of year for clearance in the toy department. Towards the middle of January a good portion of the clearance toys will get marked down to 70% off. I have currently found toys marked down 30-50% off at my Target locations. 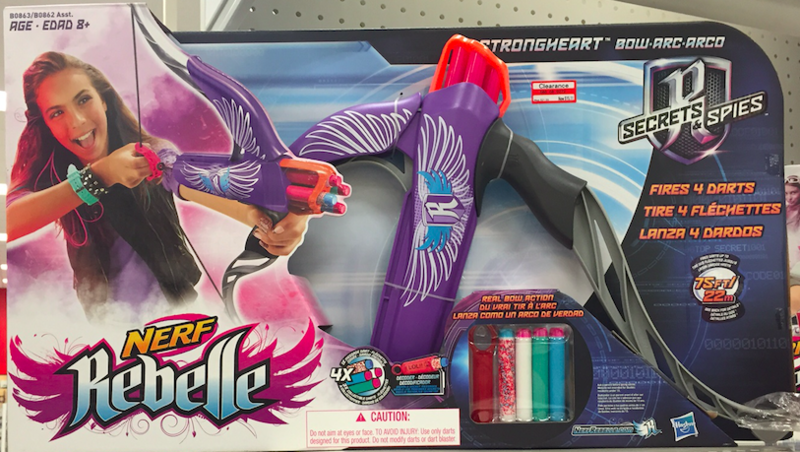 I found this Nerf Rebelle bow marked down to 50% off.